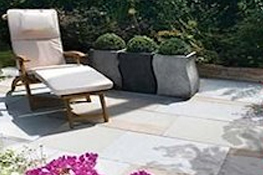 Lawsons stocks a comprehensive range of landscaping products to help you create the outdoor space you want, whether that’s a vegetable garden, outdoor entertainment area, or simply a manicured lawn with planters to break up the space. 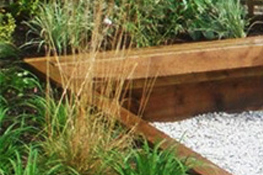 Our range includes essentials and hugely versatile products such as railway sleepers, decking, natural stone paving, concrete paving, decorative chippings, topsoil, and landscape fabric. You can find a huge range online by browsing the categories below or come to your local branch to see products before buying. 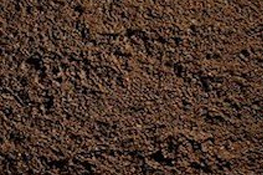 Topsoil is literally the highest layer of soil, which can range in height from 2 to 8 inches. The ingredients in topsoil include high concentrations of organic matter and nutrients that will nurture medium growing plants. 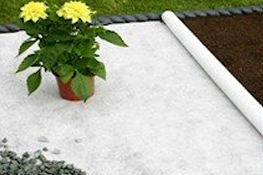 Choose from our Inturf Multipurpose, Premium and Screened Topsoil Bulk Bags. 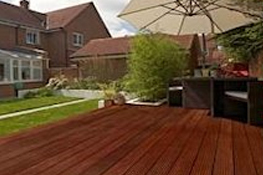 An attractive decking area can completely transform your garden and extend when you can use it through the seasons. Lawsons stocks a range of decking boards, joists, and balustrading for you to build a safe, stable, and useable deck in your garden. 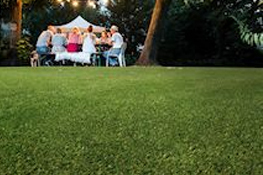 We stock a range of multi-toned artificial grass types to make sure you can find the look you want for your garden.If you’re not convinced by the pictures, we strongly recommend you request a free sample so you can see and feel what your new lawn could look like. Ideal for weed suppression, moisture retention, and garnishing flower beds and borders, decorative bark is a great all around landscaping medium. While Play Bark is used in play and recreation areas, Decorative Aggregates are used for enhancing planting areas, driveways and footpaths. 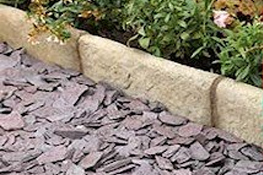 Choose from a selection of decorative chippings and bark which are available in different colours and types. 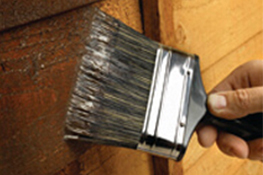 Lawsons offer a comprehensive range of both external paints and woodcare as well as various accessories. We stock a variety of brands including Barrettine and Sandtex. Wood is derived from a living plant and whilst a strong and durable product of nature it requires protection against certain forms of attack. Wood can be expensive and often difficult to replace, therefore it’s worth looking after. Timber has its own natural enemies such as wood decaying fungi and wood boring insects. Barrettine have developed a range of high quality but easy to use products that will restore and add colour to your home and garden, protecting your timber for years to come. We pride ourselves on supplying quality across our entire range – nowhere is that more important than in our outdoor supplies. All of our landscaping materials have been designed and checked to withstand the worst of the British weather and look great for years to come. We work with suppliers across the UK and around the world to provide our clients with durable and attractive materials to improve their homes. We offer everything you need to shape the landscape around your requirements – there is no minimum order value, which is why both tradesmen and DIYers across London and the South East have used our products for their jobs and projects. We are a favourite among professional gardeners and landscape architects – just take a look and place your order to find out why. We offer delivery when you order online or over the phone, or you can pick up from your local branch. Orders are typically received in 2-5 working days, but if you order early in the morning and ask us to make arrangements we can usually offer next day deliveries within our usual routes. All landscaping materials are delivered kerbside.